1. 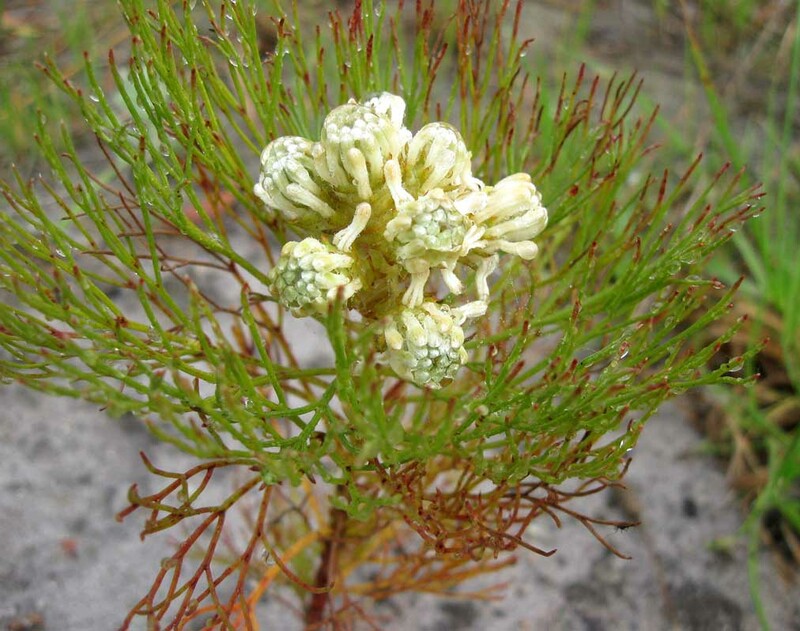 Its small size accommodates a limited number of plants of some species, some numbers so low that extinction is a real possibility. A remedy is to augment the number by propagating dicotyledons. Hermannia multiflora, Pelargonium cucullatum, Lampranthus reptans, Ruschia geminiflora, Lampranthus stenus, Salvia chamelaeagnea, Leucadendron salignum and Struthiola dodecandra. We are grateful to Trevor Adams of Kirstenbosch and Maya Beukes for their help. Photo above: The wetland in a wet winter by Fiona Watson. 2. 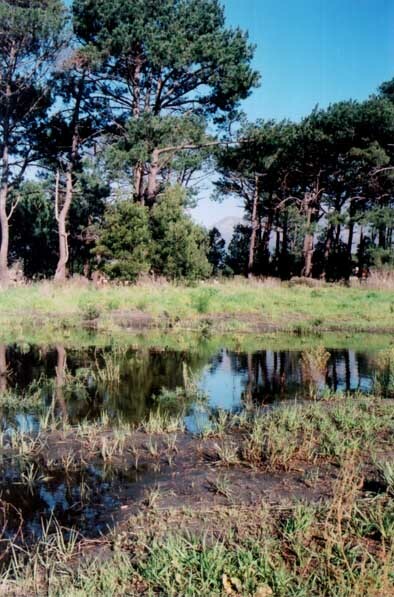 When the Alphen retention ponds were dug to prevent flooding of the Diep River, the soil was dumped on the Common. Maya Beukes provided a solution. In 2006 and 2008 she organized front end loaders to remove this soil and grass. The adjoining Meadowridge Football Club used this for their new fields and to construct a berm. The soil left behind was again at its original level. Seeds dormant and covered for 30 years germinated, covering the ground with Lobelia erinus, Monopsis debilis and Psoralea pinnata. Maya also planted the species listed under number 1 in this area in different places and at different levels in order to establish their best niches for hot summers and winter flooding. Other species previously found on the Common have been re-introduced using material growing locally to ensure that their DNA records are not compromised. 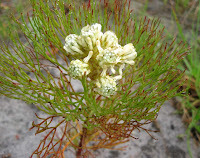 Serruria glomerata (above) is doing well in the enclosed area. Athanasia dentata has found its niche in the far side of the lower non-enclosed area. It did not survive nearer the path.